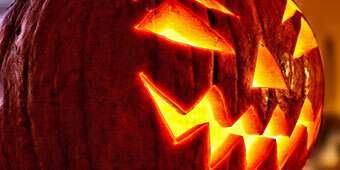 It is nearly that time of the year again (no, it’s not quite Christmas yet)… Halloween! To avoid Tianjin Castle Halloween drama this year, read up on the best Halloween parties and club-nights happening in the city; whether you want to go somewhere decadent to show-off your costumes whilst sipping champagne, or would rather dazzle Beijing with your terrifying dancing skills, there is something for everyone. DJs Juhstynn, Max atLarge and MRG bring a night of salsa, meringue, cumbia, bachata, reggae, reggaeton, soca, samba, moombahton, and Latin house to Parnas, making it easy to dance the night away! There will be a prize for best tropical costume. This Halloween, Homeplate Bar-B-Que is going all out on their Halloween celebrations. There will be an interactive screening of the popular Rocky Horror Picture Show. All you have to do is WeChat the Manager, Dave Bob, on barrevt to reserve your stage seat and get a free prop bag, meaning you can throw things at the stage throughout the screening, yell at the screen, and of course, dance along to the time warp. After this, popular Beijing cover band Bye Bye Kitty will take the stage and play some amazing 90s tunes. Happy Hour will start at 21:00 this evening, and the movie will screen at 21:30, with Bye Bye Kitty following up from the screening. There will also be best and worst costume awards with prizes! The Local is going to be a definite to-go destination, especially for those who do not want to go all out in the clubs this Halloween. They are having a Zombie Apocalypse themed party – with free shots for everyone dressed as a zombie or a survivor, and special drink deals for everyone in costume, regardless of theme. Prizes will be awarded at midnight for whoever makes the best zombie or survivor. Yen, in the Universal Creative Park, is hosting their own Halloween fetish party – only for those who dare. Guaranteed to be one of the latest (or earliest, depending on your point of view) running parties in the city. Attend at your own risk. Popular nightclub Lantern will have a great party on at Halloween, with the usual great music and free body painting and hair styling in session for the entire evening – the only way to fully complete your Halloween outfit! This year, Migas will completely transform into a creepy, creepy haunted house, allegedly full of naked Barbie dolls, and as-of-yet unspecified mysterious freaks. The music is going to be great, with Shanghai’s Jane Siesta, Oshi, Shackup and Yauman taking control for the night. Halloween at Xian Bar offers two for one champagne from dusk to dawn as Xian transforms into a haunted house. There will be live music for dancing, and prizes in various costume categories for those who have come dressed to impress.